The snow on the roof’s surface that is not frozen will melt. As water flows down the roof it reaches the portion that is colder and solidifies. Voila!—an ice dam. The dam grows as it is fed by the melting snow above, allowing water above to back up behind the ice dam and remain a liquid. 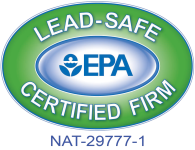 This water finds cracks and openings in the exterior roof covering and flows into the attic space. From the attic it could flow into exterior walls or through the ceiling insulation and stain the ceiling finish. First, make your ceiling air tight so no warm, moist air can flow from the house into the attic space. 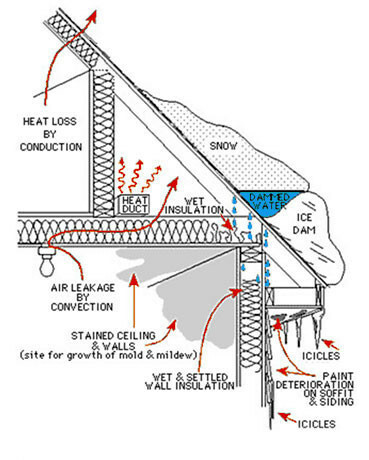 Nonuniform roof surface temperatures lead to ice dams.